Inside the wall of Recht crater rests a 130 meter long boulder. Image resolution is 0.56 m/px and the incidence angle is 20°. 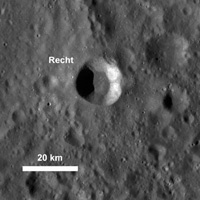 Recht crater (~19 km in diameter) is located on the lunar farside, at 9.8°N, 124°E. The boulder is located on the northern half of Recht crater's interior wall and is 130 meters long, or about one and a half times as long as an American football field. Boulder fields on the Moon are common. Large boulder fields are usually part of an ejecta deposit surrounding the parent crater. It is also common for boulders to gather where blocks on a slope are dislodged from the regolith or rock outcrops in a process known as gravity-driven mass wasting. 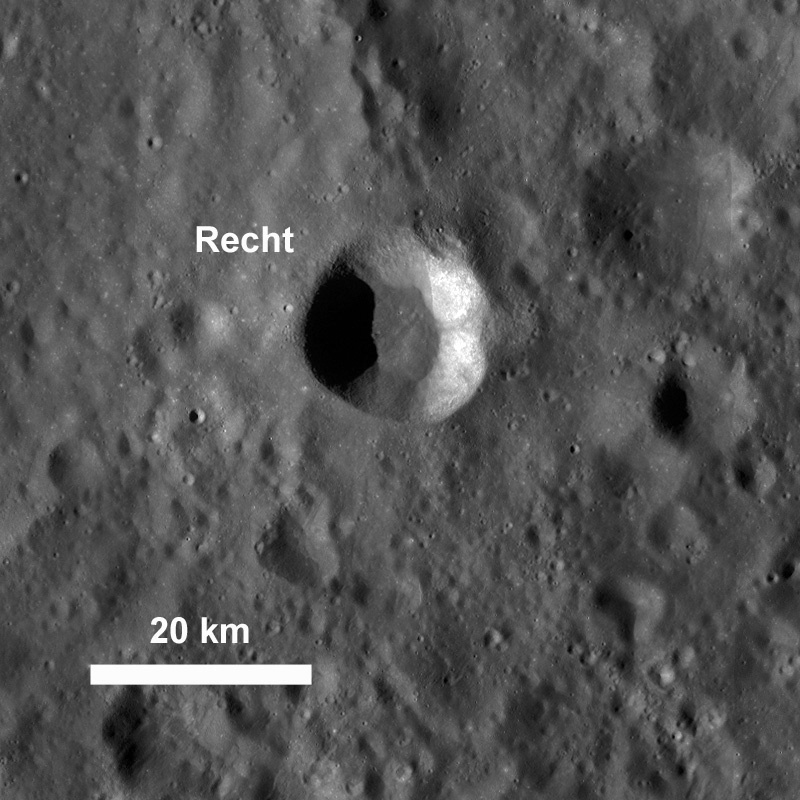 However, the boulder in today's Featured Image has no boulder trail, so it probably was emplaced at the time of the impact that created Recht crater. After the initial impact, the boulder fell as part of the impact ejecta and, as material on the wall of the crater settled, was partially covered with wall material.